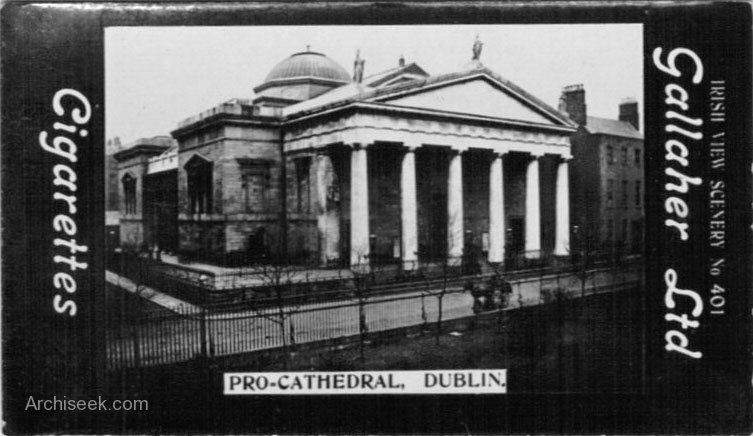 Dublin’s two medieval cathedrals are both in the hands of the former “Established Church”, the Church of Ireland. 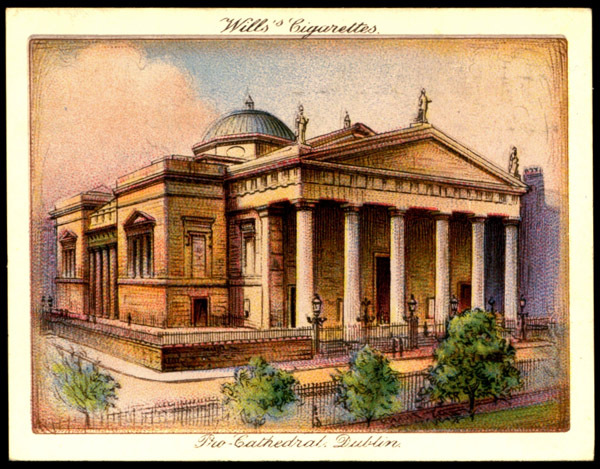 After the easing of restrictions on the Roman Catholic faith, it was decided that a new metropolitan cathedral be constructed. 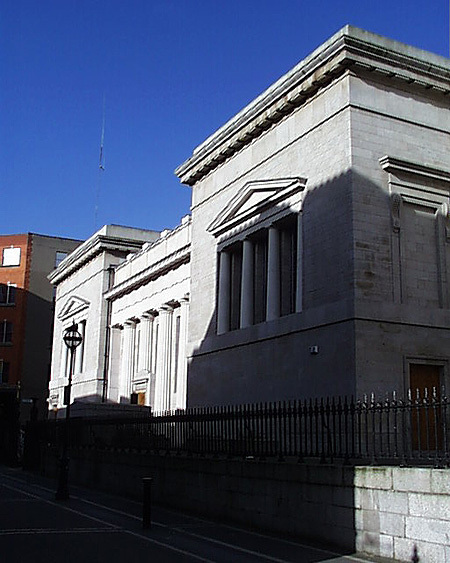 Construction of this fine church began in 1815 and was completed in 1825. 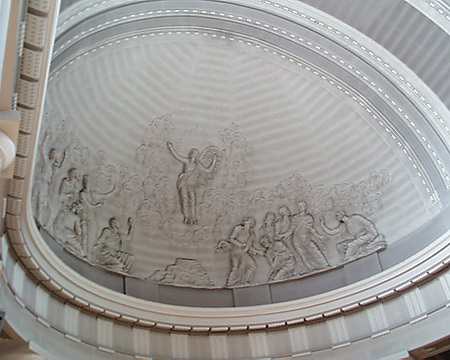 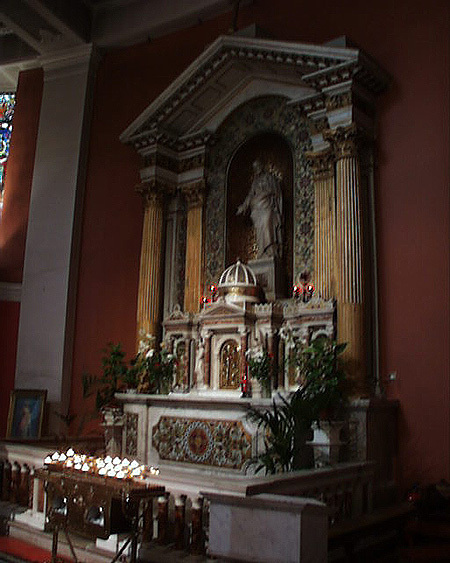 Designed by John Sweetman, it is based on the church of St Philippe-le-Roule in Paris. 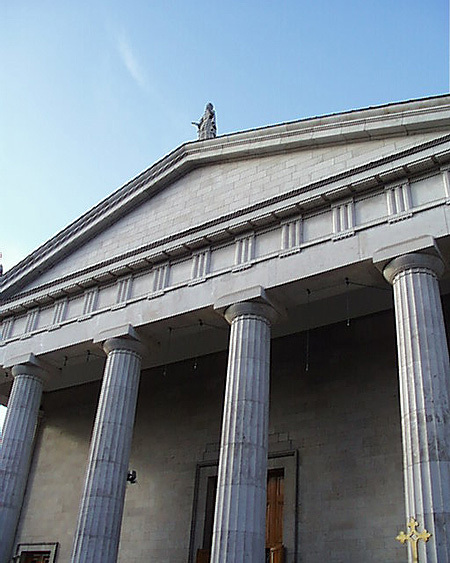 The exterior is an austere Classical Greek. 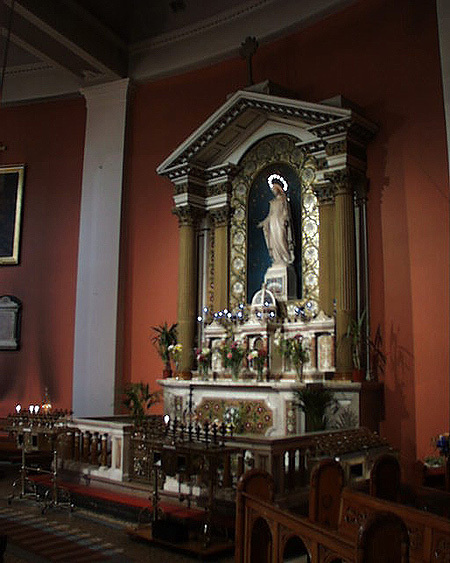 The interior is larger than expected and quite ornate with flanking altars still intact, and the main altar under the dome. 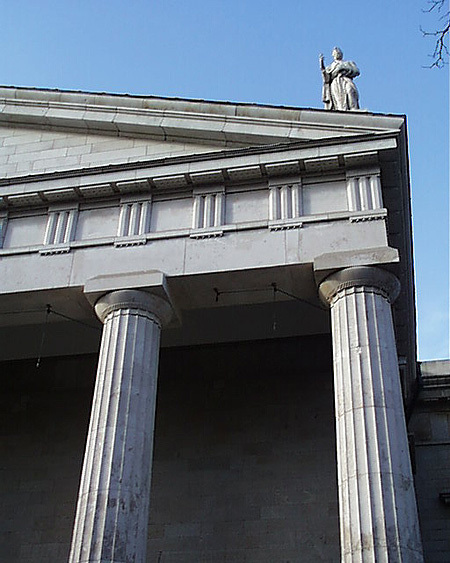 The large Doric columns are magnificent in the interior space. 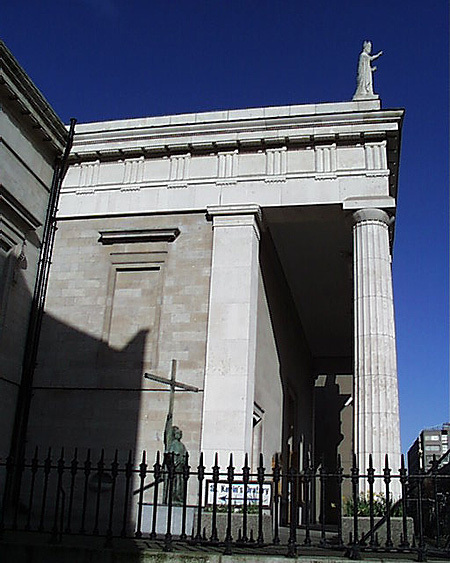 The church is known as the Pro-Cathedral because the church always planned to built a new cathedral on a site, the central park, in Merrion Square. 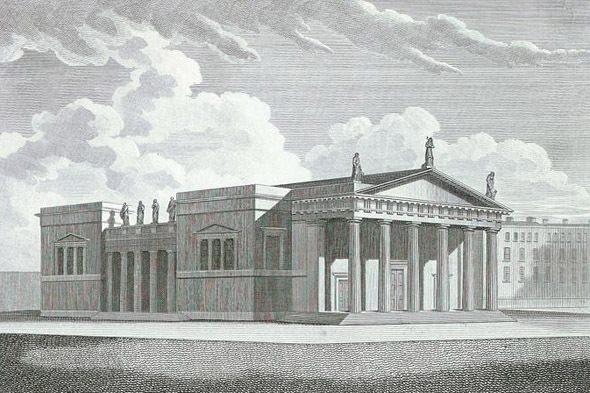 Fortunately this plan came to nothing, and the park was donated to the city in 1974.